The brand name Ad Lib is an abbreviation from Latin “ad libitum”, which means "at one's pleasure" or “at liberty”. It was first launched in 2010, with an eyewear brand collection for urban men and women, offering comfort and life-quality. Ad Lib glasses are characterized by their colourful frames, their fresh design, the accuracy in their lines that follow the latest trends and the quality materials which are used in the production process. 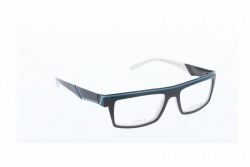 Ad Lib prescription glasses combines light materials with long durability with an exclusive hinge system. All together turns out to offer outstanding frames. Moreover, during the process of making the glasses, the use of sustainable organic materials of high quality is always present. Whether you’re seeking a vivid frame design or something a little more neutral, you are sure to find a pair to suit within this line. Each pair of Ad Lib glasses is available in up to five different colour combinations, including the brand’s signature black and yellow (suggestive of its iconic logo).